Florida's Department of Children and Families said in 2014 there were at least 5,700 homeless people under the age of 18 in our state. Some of them teenagers living on their own. But there's one group that makes up a disproportionate amount of homeless teens in Florida and throughout the nation. He was speaking at the ground breaking for Starting Right Now, a facility for homeless teens in Pinellas County that is due to open in January 2016. But what his comments didn’t point out is that teens who identify as lesbian, gay, bisexual or transgender are disproportionately affected by homelessness. A 2014 report called the Street Outreach Program from a branch of the U.S. Department of Health and Human Services, gathered data from 11 cities around the country, including Port St. Lucie in Florida. It’s not claiming to be nationally representative, but the report said in those cities nearly one-third of homeless teens identify as LGBT. 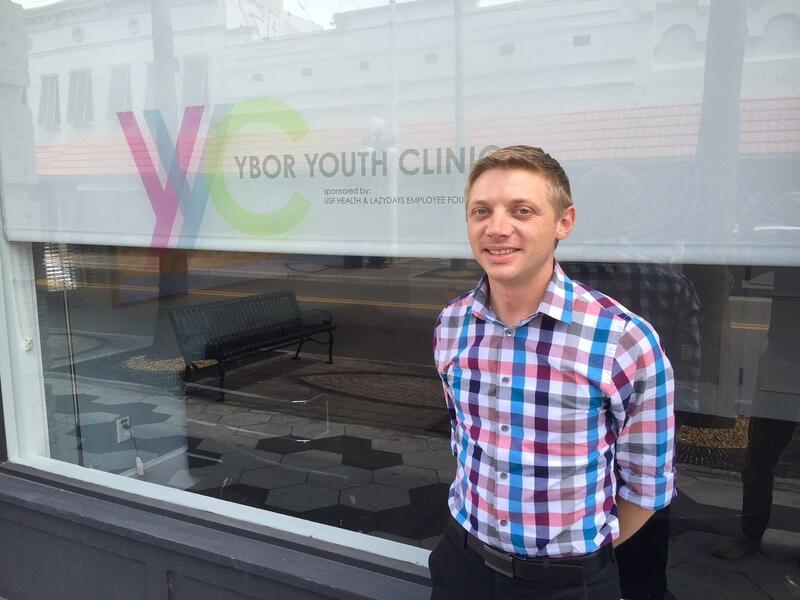 Jeremiah Kerr is the outreach and development coordinator at the Ybor Youth Clinic in Tampa. “Honestly, I would say looking at the homeless population that we see come through here many more of them are LGBT identified,” said Kerr. The clinic is in a gray brick building with an interior of modern furniture and oversized art, at the end of a street of busy bars, restaurants and nightclubs. 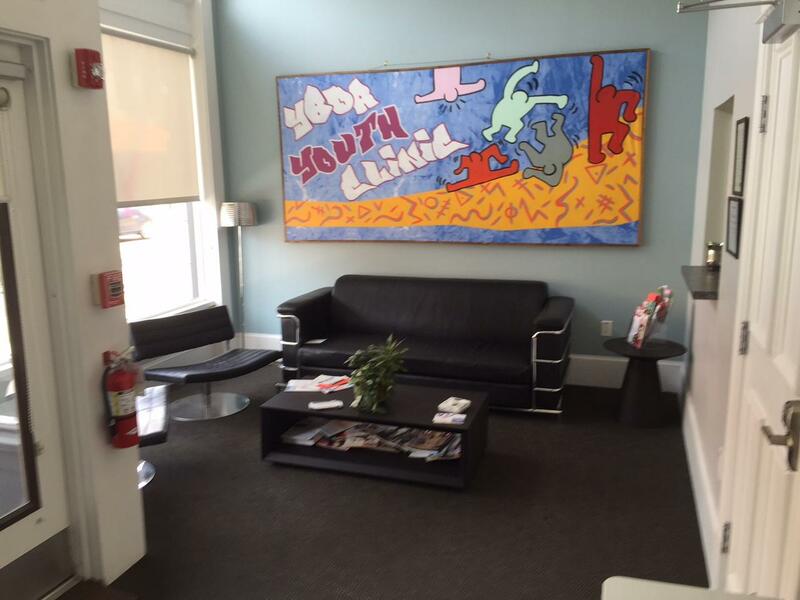 It provides treatment for STDs, family planning, and substance abuse and mental health services to homeless youth. They serve ages 13 – 24, but they have helped kids as young as 11. When you check out their website one of the things you notice is that all of the doctors there are pediatricians. Christopher Rodriguez, now 20, left home at 17, never thinking he’d become homeless. He says partly because of his sexuality, his relationship with his father became so strained, he felt he had no choice. “At that age I felt like my father would’ve hated me as a person, would’ve had no respect for me as a person, would not have loved me as a person, and would have pretty much just wiped me away from their life as a person, if I had came out to him and told him,” said Rodriguez. But while leaving home, at first it seemed like a shot at freedom. But reality quickly set in. “The only thing you’re thinking about is what am I going to do now? Because I have no roof to sleep under. I was in fear for my life,” said Rodriguez. While Rodriguez left on his own, but the most common reason for homelessness, cited by half of teens, was being asked by a parent or caregiver to leave. Less than a third said they had the option to go back home. "Or the neglect was just so bad that it felt like the only option. They might as well have been told to leave,” said Kerr. Almost a quarter of all homeless teens said they left home because of abuse or because of their caretaker’s alcohol or drug problem. And while more than 60 percent of homeless youth said they were victimized by threats, robbery, or physical or sexual assaults , Kerr says these problems sometimes happen in the shelters designed to help protect them. “This is absolutely something we see as a common occurrence among the youth that we serve. And unfortunately for many of them, especially the LGBT youth, they are being victimized by their homeless peers as well. I think right now the biggest issue that we have is that we have no safe place for them to go,” said Kerr. On average, most teens said they became homeless at age 15 and were homeless for nearly two years. That’s about the amount of time Christopher Rodriguez was without a roof over his head. He remembers one night he spent with a friend in a neighborhood swimming pool bathroom. With the help of Jeremiah Kerr, Rodriguez now has a steady job and a place of his own. He dreams of buying a car, starting his own business and one day having a family. “So I’d love to have a family one day, I own my business and my husband does whatever he does. I would love to go to church every Sunday with my children and my family. People say that I act like one of those crazy religious people and I just happen to be gay. That’s just how it happens. I guess, it really just doesn’t change you as a person,” said Rodriguez. That desire to address the needs of homeless teens keeps the doors of the Ybor Youth Clinic open Monday through Friday. If you weren't looking for it, you might miss it, sitting between a nail salon and a discount grocery store in a shopping plaza that seems to have an endless parking lot. Tucked in the plaza is a multi-million dollar medical clinic. A Hillsborough County project to help teens is expanding across the bay with the help of some well known local dignitaries. St. Petersburg Mayor Rick Kriseman, Tampa Bay Rays President Matt Silverman and others broke ground Tuesday on what will soon will be a residential facility for homeless teens in Pinellas County. The project, funded through private donations, comes from the efforts of Start Right Now a program working to end homelessness for area teens. Vicki Sokolik is the founder and executive director. A record number of homeless students are attending Florida schools according to new numbers released by the U.S. Department of Education. Almost 70,000 kids in the state were homeless during the 2012-2013 school year, a 10 percent increase compared to the national average of 8 percent. On Thursday, Hillsborough County conducted its annual homeless count. Volunteers canvassed neighborhoods in an effort to get a better picture of the homeless population. The Ybor Youth Clinic focused on an often unnoticed demographic: homeless youth. At 8 p.m., in a room of the YMCA on East Palm Avenue in Tampa, the Clinic's volunteers were on phones, looking for anyone under 25 without a home. The Tampa Hillsborough Homeless Initiative held the grand opening for the Community Housing Solutions Center on Thursday. What makes this different from other homeless shelters is it gives both single men and women housing for four months - with the belief that a stable place to live is the first step to getting them off the streets.